A friend has a lovely little water feature on her farm. 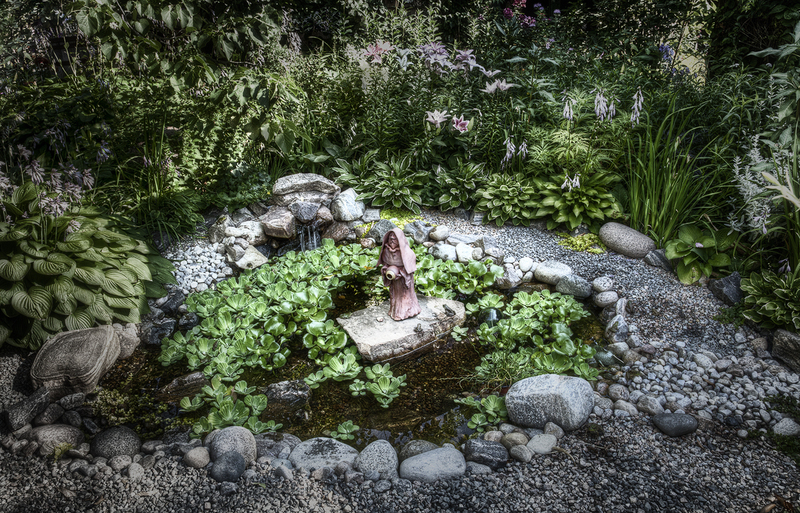 The little pond is teeming with small leopard frogs watched over by a benevolent Frog Lord who she created. The kids enjoy watching and counting the small creatures in this quiet corner.